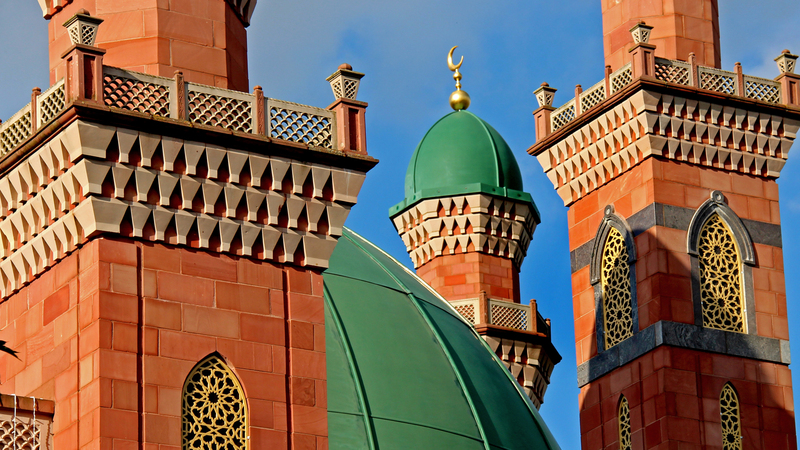 Welcome to the Official Website of Al-Jamia Suffa-tul-Islam Bradford Grand Mosque. 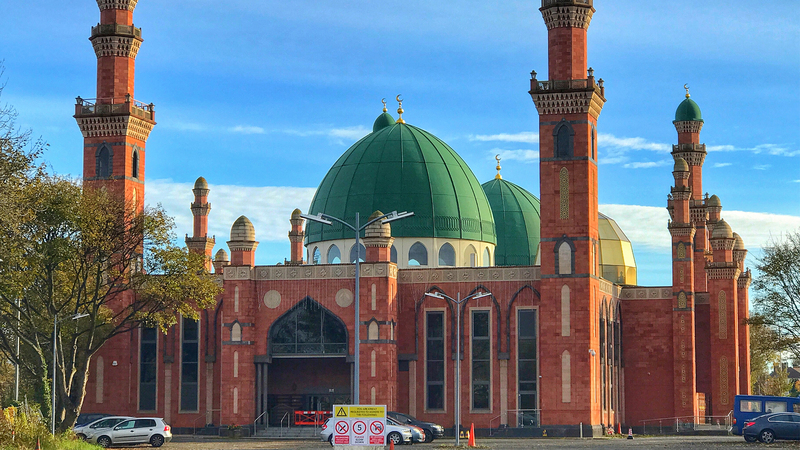 Click here for the official Bradford Grand Mosque Calendar for 2019. Thousands gather as Al-Jamia hosts the annual march in honour of our beloved - peace and blessings be upon him. Some of the leading scholars in the region gather at Bradford Grand Mosque. Hazrat Sahib delivers a sermon preceeding Friday prayers. A tour of Al-Jamia given by Qibla Hazrat Sahib to the Bishop of Bradford. Join Qibla Hazrat Sahib, Shaykh Muhammad Habib-ur-Rehman Mahboobi every Thursday evening from 8 PM to invoke Allah Almighty in collective dhikr, learn from the blessed tradition of His beloved messenger ﷺ and to seek Islamic consultation & advise. Spend your Jumu'ah Prayer with us in the peaceful and serene environment of Al-Jamia. Something for everybody with English, Urdu and Arabic Khutbahs. Prayer from 1:00 PM during winter and 1:30 PM through summer. Listen to Islamic Nasheeds before and after. Every Sunday from 6 PM an exploration of the inimitable Word of Allah Almighty, The Holy Qur'an. An English seminar delivered by Qibla Qadri Sahib, Shaykh Muhammad Anwar Ul-Haq. "Worship of the Creator; Service of the Creation." The Bradford Grand Mosque (BGM) mission is summed up in the simple yet eminent statement "Worship of the Creator; Service of the creation." We recognise and worship Our Creator, the One, the Eternal, Who begot no one nor was He begotten, Who has none comparable to Him, the Lord of Muhammad, peace and blessings be upon him. The measure of our worship is in taqwā - a fear and consciousness of our Lord. We endeavour to manifest this worship through the service of His creation. This is the Sufi path we adhere to, a path with an authentic unbroken chain of instruction from the Best of creation, the Beloved of Allah and Mankind, the Mercy for Mankind, Muhammad, peace and blessings be upon him. The service is our Jihad, our struggle, in this world. We look to invite our local and world community to appreciate and familiarise themselves with our faith, recognising that there is no force or compulsion in religious conviction. We look to put into practice the age-old Sufi teaching of "whomsoever behaves excellently toward you, has behaved in the Sufi way". This excellence in service to the creation is furthered beyond humankind to the animal kingdom, and to our entrusted environment. Without excessiveness, we endeavour to apply a balanced approach where necessity dictates use: without reason no tree is to be felled, nor an animal slaughtered or hurt. Our worship and service is pinned to the laws of our country. As citizens of the UK we are religiously party to agreements and covenants made by and on behalf of our great land. Those that share these sentiments are welcome with open arms to our age-old traditional form of worship and service. We invoke Allah Almighty through His beautiful name of as-Salām in all our undertakings: "Lord! You are as-Salām and from You is peace. Glorified are You, O Most Lofty and Most Honoured". A 24 hour conference which will include workshops on fiqh & creed along with talks on Qur'an, Sunnah and a lot more! Presided by Qibla Hazrat Sahib, Shaykh Muhammad Habib-ur-Rahman, Mahboobi. English and Urdu Guest Speakers, Scholars and Nasheed Artists to attend from around the UK! in-sha Allahu ta'la. Learn the truth, the absolute truth from the blessed word of Allah Almighty every Sunday from 6pm at Bradford Grand Mosque with Qibla Qadri Sahib, Shaykh Muhammad Anwar Ul-Haq. Join us every Sunday from 6PM at Al-Jamia Suffa-Tul-Islam Grand Mosque (Bradford Grand Mosque) for a Journey Through The Noble Qur'an with Qibla Qadri Sahib, Shaykh Muhammad Anwar Ul-Haq. Al-Jamia site borders the City centre, the city’s educational institutions, as well as the Bradford 5 and Bradford 7 areas. The architecture and serene setting of the Al-Jamia complex has already attracted national and international interest. Al-Jamia Suffa-Tul-Islam has a century and a half of history in serving the Qur’an and Islamic sciences through its spiritual founders, the Sufi Grand Masters of Tangrot and Dhangri Shareef, Kashmir. This devotion to the Qur’an and its sciences remains at the core of Al-Jamia’s ethos. To date more than 150 Huffaz have committed the blessed Qur’an to memory and tens of scholars have graduated from the Tarbiyya and Tasawwuf program. 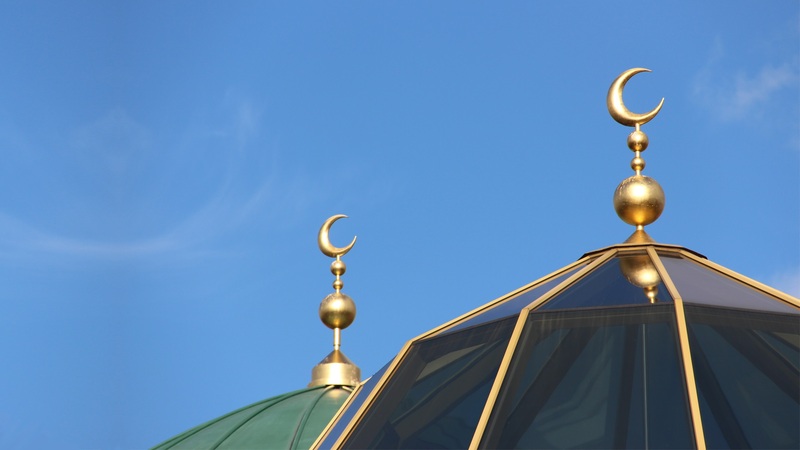 Many graduates are now responsible of their own Islamic institutes, both local and abroad. © 2018 Al-Jamia Suffa-Tul-Islam Grand Mosque. All Rights Reserved.